What Is Engine Code P0430? The OBD2 data trouble code P0430 is stored in memory when the ECU detects a low efficiency in the catalyst system for bank #2 (the bank of cylinders not containing cylinder #1). 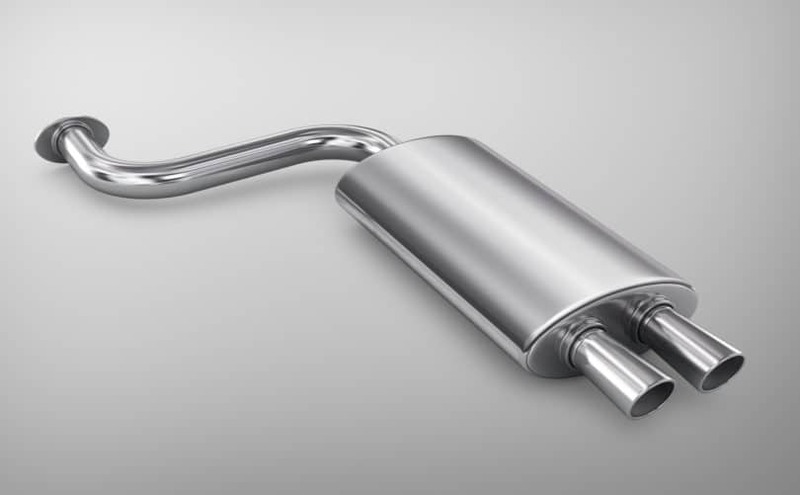 The ECU determines the efficiency of the catalytic converter (CAT) using two sensors: the upstream oxygen sensor, located before the CAT, and the downstream oxygen sensor located after the catalytic converter. To calculate the catalyst efficiency, the ECU compares the values of both oxygen sensors in real-time. The expected result is a “cleaner” reading in the downstream O2 sensor. When the values of both sensors are similar the ECU infers a low efficiency in the catalyst system. Check Engine Light lit (sometimes even blinking). Poor engine performance under all driving conditions. 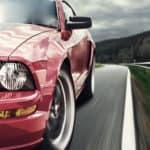 For the purpose of this article, it’s assumed that you have a basic knowledge of safety precautions while working on your vehicle. IMPORTANT: the diagnostic procedures listed below assume you only have the data trouble code P0430 present. If you also have any other code related to the ignition system, emissions system or fuel system then you should start diagnosing them first. Always refer to the appropriate OEM literature when possible. Original manufacturer diagnostic procedures should always have precedence over a generic workflow. That said, let’s start the diagnostic process! To discard a possible intermittent DTC condition, you’ll need to clear the ECU memory and complete a driving cycle. Read data trouble codes and take note of them. Clear data trouble codes memory. Perform a driving cycle (at least 5-10 minutes). In case the Check Engine Light stays off then you may have an intermittent problem. If the light lit during your driving cycle then continue with the diagnostic process. > Catalytic Converter inspection: perform a meticulous visual inspection of the catalytic converter as well as its inlet and outlet pipe connections. Any sign of exhaust leaks, overheating or excessive corrosion may be an indication of replacement. > Oxygen Sensor wiring and connector: perform a meticulous visual inspection of the upstream and downstream O2 sensor wiring and connectors. Look for burnt, damaged, corroded or deteriorated wires, also unplug each sensor and look for bent terminal pins, loosely connections, corrosion or any other possible indication of a bad connection. Fix any wiring problem before continuing. > Catalytic Converter Test: using a professional scan tool can save you a lot of time regarding CAT diagnostics. Start your engine and allow it to reach its normal temperature. Watch the upstream and downstream oxygen sensor values for bank 2. The upstream O2 sensor should be constantly changing between a rich/lean condition but the downstream O2 should be more stable with a tendency to a lean mixture. If both readings are too similar you can assert the CAT is faulty. > Upstream Oxygen Sensor Test: start the engine to enter KOER mode. If your scan tool has a graphing ability turn it on. Graph engine RPM and O2 sensor output simultaneously. Accelerate the engine to 2000 RPM. You should see the voltage varying during acceleration and then stabilize. Decelerate to idle. You should see the opposite variation in the O2 output. Repeat the procedure several times. Some manufacturers include special tests for the O2 sensors. Follow on-screen instructions to complete those tests. Please notice that oxygen sensor output is completely different between wideband models and narrowband models, refer to the appropriate OEM literature to determine their expected behavior. > Downstream Oxygen Sensor Test: start the engine to enter KOER mode. If your scan tool has a graphing ability turn it on. Graph engine RPM and O2 output simultaneously. Accelerate the engine to 2000 RPM. You should see the voltage fairly stable. Decelerate to idle. You should not see much variation in the O2 output. Repeat the procedure several times. If the downstream O2 sensor output closely resembles the upstream oxygen sensor output then you may have a bad catalytic converter. Some manufacturers include special tests for the O2 sensors. Follow on-screen instructions to complete those tests. Repairing the oxygen sensor(s) wiring and/or connectors. Replacing the upstream, downstream (or both) oxygen sensors. On most late model vehicles, the ECU does an excellent job diagnosing the catalyst system. Meaning that if you don’t have any oxygen sensor code it’s more than probable that your catalytic converter is no longer functioning as it should. This article will assume ’s the case and your CAT needs replacement. For detailed instructions on how to replace your oxygen sensors refer to our oxygen sensor troubleshooting article.